Donald Trump is not helping Indian prime minister Narendra Modi’s effort to call time on crony capitalism. The U.S. president-elect met with Indian developers of Trump Towers Pune in New York last week. Discussions followed with members of the Trump family about possible deals in a market where the Trump Organization has projects worth $1.5 billion, local newspapers reported. 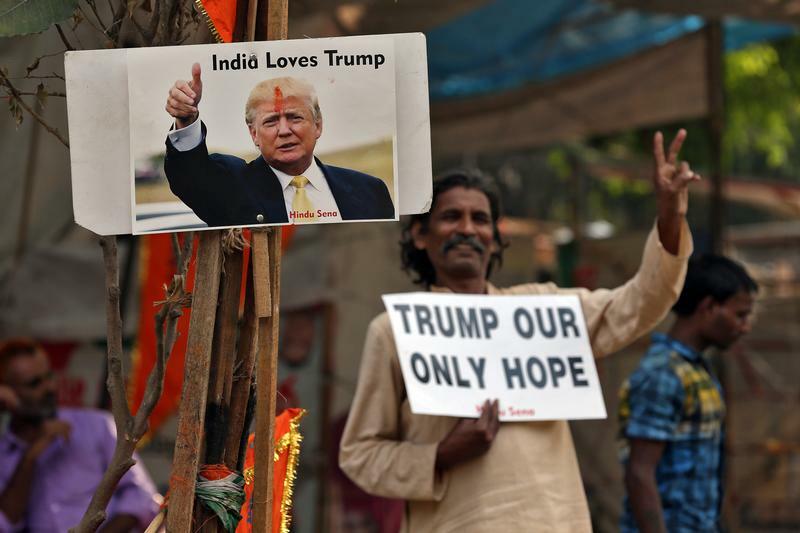 If Trump is using the presidency to further his business interests, that’s an unwelcome endorsement of a corrupt past India is trying to leave behind; it also undoes decades of work by U.S. officials trying to raise the global governance bar. Modi has been trying to stamp out corrosive self-dealing practices in India since coming to power in 2014. Cozy ties between politicians and tycoons were at the heart of scandals that turned voters against the previous administration. In fact, one of its old allies, Nationalist Congress Party head Sharad Pawar, has close ties to the Chordia family, members of which met with Trump. Against tall odds, Modi has made progress. Tycoons find it harder to win special dispensation from New Delhi, and transparent auctions have replaced the discretionary approach to awarding licences for telecoms and coal. Modi is also turning the screws on indebted state lenders, forcing them to pressure powerful business groups to sell off assets to pay down overdue loans. Two weeks ago, Modi took the extraordinary step of outlawing 86 percent of banknotes in circulation to clean up illicit money flows. India is hardly alone in being caught off guard by Trump. America’s president in-waiting is blurring lines around the world. His daughter Ivanka and her husband Jared Kushner sat in on a recent meeting with Shinzo Abe, the Japanese prime minister. Foreign diplomats were gathered at Trump International Hotel in Washington D.C. last week to hear a sales pitch, the Washington Post reported on Nov. 18. Vice President-elect Mike Pence says Trump will work to ensure “proper separation” between business and politics. That is necessary given the Trump Organization has interests in many other countries struggling with transparency issues, including Panama, Turkey, Uruguay, and the Philippines. For now, everything is muddy. The only clear thing that is emerging market countries will be ill-advised to continue to look to the U.S. leadership to model good governance. This view has been corrected to reflect that Sharad Pawar is head of the Nationalist Congress Party, not the Congress Party. U.S. president-elect Donald Trump met in New York with the developers of Trump Towers Pune in India on Nov. 15, the Economic Times reported on Nov. 17. The New York Times reported the meeting on Nov. 20. The newspaper said that Atul Chordia, one of the developers who met with Trump, described the appointment as a "two-minute" congratulatory conversation in which no business was transacted and no new projects discussed. Sagar Chordia was also present at the meeting; both men are members of the management team of the Pune-based Panchshil Realty, the developer of the Trump Towers Pune. The Economic Times reported it as a business meeting between Trump, the two real estate executives and Kalpesh Mehta, founder and managing partner of Tribeca Developers, a Trump Organization representative in the country. The Indian newspaper published a picture of the four men together and indicated that the Trump organization was interested in further expanding its business in India. "We have identified a piece of land and spoken to them," the Business Standard separately reported Sagar Chordia as saying on Nov. 11. The New York Times added that a spokeswoman for the Trump Organization did not dispute this account — saying only that the encounter with Mr. Trump himself was brief. India is one of the largest markets for the Trump Organization outside of North America, with five development projects worth around $1.5 billion, Mehta told The Indian Express on Nov. 10. Email from Reuters Breakingviews to the president-elect's media team went unanswered. There was no immediate response to a voice message left on the number listed on the Donald Trump campaign website.